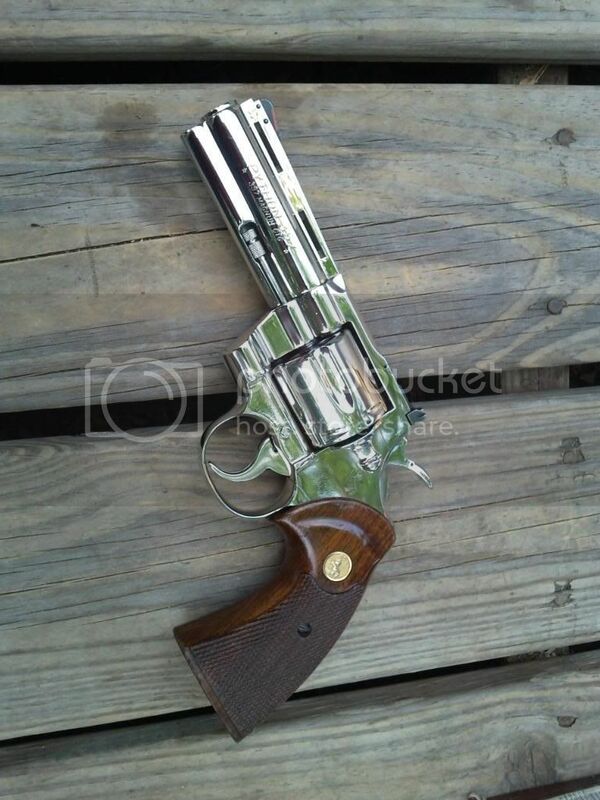 I'm looking for someone to make me a nice holster/belt combo to showcase my 4" nickel Colt Python. I'm thinking about using it as a BBQ gun. Anyone interested? Great thread. Looking for a nice leather holster for my pistols. Gonna go classier than plastic from now on! Woohoo, just ordered me 3 holsters and 2 belts. Coming home in a few weeks and just a couple more weeks after that until I get my holsters. Even bought a holster for a gun I don't even own yet! We are a custom Kydex holster manufacturer. We have several years of experience with glock, hk, and S&w holsters and want to offer our services to the sig community. I recently purchased my first sig, a coast guard 229 and have fallen for the platform head over heals. We got started providing holsters to local LEO department here in Charleston SC and were encouraged by our contacts to take them to the masses and so we created our online site and business took off. We strive to produce the best quality holsters and use premium products in all aspects of creation from top grade kydex down to the smallest rivet and screw being completely rust proof. If you have any questions or comments please email me at joe@palmettotacticalgear.com or call 843-469-8572 any time of day or night. I'm looking for a pocket holster for a kel tec .380. I'd like to be able to draw the weapon using one hand consistently. Does anyone make a good, nice looking holster that would be available soon? I haven't surfed all the sites listed here, but TT Gunleather and Big River Gunleather do have P3AT/LCP specifically listed. Got my order from RGrizzle in today and I have one word to describe the product: WOW!!! Very high quality material and craftsmanship. Ordered 3 holsters and 2 belts. I actually do not want to wear the items because they look so nice! Still looking for a P239 in .40/.357 for the holster I bought. Ended up buying something else instead. Anyone have a OWB holster for a Kahr CW40? 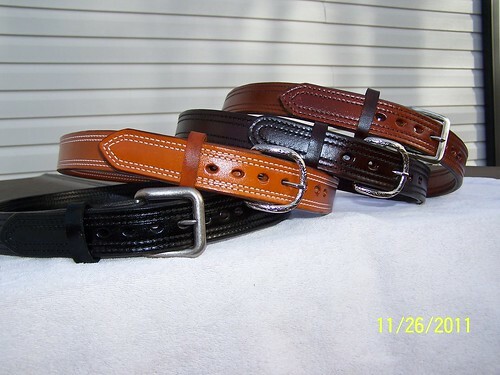 The Belt Man in Apex, NC does fantastic CCW belts. Agree with you. I bought my belt from him 6 years ago and used every time I carry and still look new today. "What I would die for? +1 for The Beltman in North Carolina. I have his elephant hide belt and it has lasted forever. Luckily for him, my waistline is expanding so I'll have to buy another couple belts from him soon. Looking for a OWB leather concealment holster for a new version SP2022. Any suggestions? Had the privilege and the pleasure to personally visit RGrizzle's shop! Got to see many incredible custom holsters Ryan shipped today, plus ones in varying stages of make and finish. His attention to detail and craftsmanship at each tedious stage was awesome. If he was even ONE stitch off he wrecks the whole holster and starts over. Meaning the stitching is perfect, and the finish work and detail was beyond what I've ever seen before. And it's not just him, this is a true God centered family run business. I've carried many sidearms, as plainclothes and uniformed military and LE actions in S.A. and the Bering Sea, as well as other assignments and CCW. I instantly felt the difference that high quality leather and workmanship produces when I picked one of them up. Blindfolded I know I could tell the difference between his and any import or mass produced holster from anybody. You will NOT get this level of craftsmanship from a mass produced holster. Plus, selection of a holster has always been a very personal and careful selection for me - if your carrying concealed the holster had BETTER be well made and comfortable. I got to try on several of his creations, and selected the "Georgia Snap" OWB for a SigPro 2022 in Mahogany with black trim, and paid the expedite fee because his holsters are that good. You should see his work in Elephant Hide, Ostrich, and Shark Skin. As I go along, you can bet I'll be back for some of those too! I want to encourage you all to buy from RGrizzle as well as the others here on the forum, in today's CCW world a custom holster is the way to go. There's a reason his orders are 6-9 weeks out! 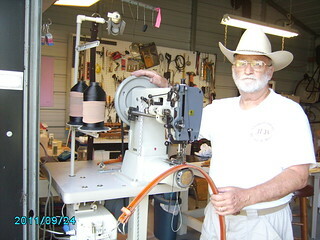 I have not been to the RGrizzle shop but I do have a few of his holsters and a couple of belts. They look so damn nice, I'm afraid to use them High quality workmanship and WELL worth the wait. I've got a few RGrizzle products, and they're all great stuff. There's another on my "want list," for sure! Hey, I just noticed Ryan has a pocket holster featured on his site, mentioning LCP specifically. LCP and P3AT are darned close in dimensions... might be worth an email to Ryan to ask. works fine with p380, p3at, p32 and the like. I only do the leather gunbelts now. That's enough to keep me busy. I'm trying to build a web sight with my limited computer knowledge. Can't afford to pay out the big bucks to have one built for me. I'd bet there are several SF members who could lend a hand with that, Jerry. There's some really nice looking leather in here. I'm sure I will be adding myself to several customer lists.